Hello again, Reader. There was no Hermit Monday for me this week due to the holiday. Yesterday was a fairly nice substitute in that I spent almost four hours in my sunny corner at the library. Today will be more hermit-like yet as I plan to park at my desk and stay here until school gets out. I have an impulse to take stock of where I am with my writerly work, although the usual time for taking stock — at the very beginning of a new year — is past. The fact that soon it will be February is somewhat mind-blowing, no? applications I spent much of September and October applying for things. One of the gigs I applied for was a residency at Hedgebrook, and I did not get that gig. Bummer, but no big surprise — I typically assume you don’t get anything the first time you try for it. I’ve also learned it can be good to try for things even if you’re not sure you’re 100% ready. There is value in the exercise of applying: you polish your best work, organizing into a manuscript, write an artist’s statement. These are all things that help you see where you are on your creative journey. I have to say their rejection note was one of the nicest rejections I’ve ever received — perhaps in keeping with their focus on being a nourishing global community of women writers. submissions As usual, I am not the lean mean submissions machine that I aspire to be. I continue with my habit of sitting down to submit, then revising. Revising is a good thing to do, though, and if I see something I think can be stronger I’d rather make it stronger than send it out. This contributes mightily to my tortoise-like pace, but I keep telling myself: slow but steady… you know the rest. Right now I have poems out with 10 journals and two batches of poems sent off to contests. I have received — ahem — several rejections from wonderful journals — forgive me, I’ve lost track (technically, I could look it up but let’s not go there). Only two acceptances since September. Ouch. Despite it all, I have more confidence in my work than ever before. I have many poems that I believe in, that I believe will find a home at some point. Onward. I do have a poem in the most recent issue of Spillway. It’s a small, quiet poem called “A Story About the Kitchen.” It has to do with family and inheritance (I probably don’t need to say: conceptual, not financial). old work …I also have a reasonable stack of in-process poems that need attention. By which I mean re-visioning. It’s a good problem to have: too many poems. Remind me of this when I hit my next dry spell. the Mail Order Bride You knew this was coming, right? That b%$#@h (this is how I’ve come to refer to her — forgive me) drove me crazy all fall. A few times now I’ve thought she was done and then she reared her wacky head again. At this point, though, I have sent her west in a chapbook with a series of aubades and a series of poems with titles taken from the traditional Christian wedding vows. She had been in a full-length manuscript I’ve been working on, but after (many months of) further discernment, I came to feel that she was overpowering the rest of the poems, because she is so wacky (or as a friend put it, much more charitably: “richly imagined”). We will see how she does now that she’s out there in the world with some friends. organization & process Oy. 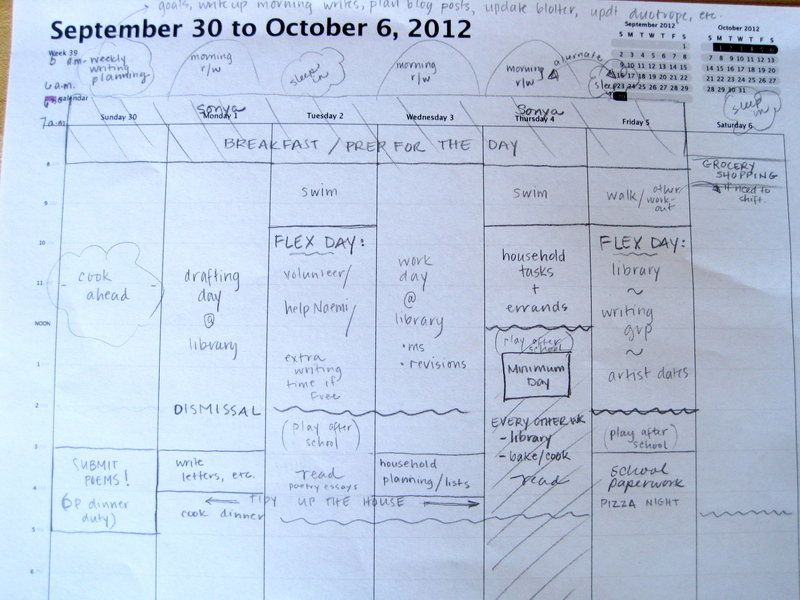 One of the things that fell by the wayside as I hustled to meet contest deadlines is organization. Ideally, I’d spend a day putting the system back to rights. Whether I can tear myself away from more creative work to do so remains to be seen. My process remains the same: reading and free-writing in the early morning, crafting/drafting/polishing other times. coming up I’ll be working on two reviews, one of Donna Vorreyer’s a house of many windows which I’ll publish here, and one of the forthcoming Bone Map by Sara Eliza Johnson(Milkweed, summer 2014). I also have a hefty stack of poetry to read and learn from. AWP Suddenly, I’m going. And I’m already worrying about how I’m going to fit my bathrobe in my two-day suitcase #trueconfessions. Well, all this should keep me busy and then some. Thanks for letting me take stock. I hope your pantry (figurative or literal or both) is well-stocked and ready to take you through what’s left of winter. Thanks for reading. Happy Friday, Reader. Here we are again. Today in the Peninsula Town it’s grey and damp, very nearly raining. The ginko trees are so brilliant as to be shrill. The furnace just clicked on and I’m wrapped in a sweater and scarf with hot tea on my desk. In other words, I’m in my happy place right now. I hope you are, too. Now let’s talk some poetry. preparing the soil Lately I’ve been doing a lot of what I think of as ‘preparing the soil’ of my writing life and work. I mentioned an incomplete computer transition in a recent post, and that transition is still incomplete, but as I go I’m trying hard to collect all the scraps of my writing life and put them into a system that’s searchable, redundant, and rich with possibility. That means scanning in many, many poems, importing them into Evernote, and tagging them in ways that I hope will help me find them someday. Ditto with articles on craft, as well as prompts and exercises. It also means updating my blotter (which I wrote about here), which is in desperate need of updating. It means taking a hard look at my electronic file structure and streamlining it to work more efficiently. It also means — and this is really hard for me — allowing things to exist in only an electronic format. There is a little voice inside me that says, “When the grim times come, you’re going to wish you had that on paper.” O, paper, how I love thee. At any rate, sometimes it feels hard to devote time to what I think of as the systems that undergird my creative life. As with most creative people, I would rather be making something new than organizing what already exists. But my frontal lobe, source of planning and the ability to recognize future consequences, tells me that it really is worth the time to organize what become seeds for generative work and for learning. I hereby don my garden gloves. (*raising hand) Yes, sometimes I’m the mom of a 4th grader cutting out ONE ZILLION fish shapes from different colored construction paper (with help from my parents — thanks Mom and Dad!) for a classroom project. Then sometimes I’m practically ducking behind doors to prevent myself from being asked for another volunteer commitment. 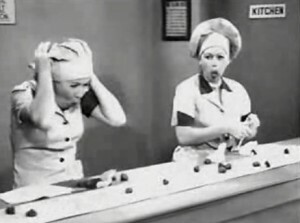 Sometimes I’m practically Joan Cleaver, soaking beans, making mini-cupcakes for someone’s birthday, singing as I sweep the floor (although never, never catching up on laundry). Then, sometimes I’m the person who said “I don’t cook or clean. I’m a writer.” (sadly I can’t remember which famous writer said this, and it’s in a book that I no longer own). Sometimes I feel open and social and I can muster some pretty good small talk. Other times I practically hide from other people, and I just want to go away and live in a hut where I can read and write all the livelong day. Sometimes I feels so very tugged by these different parts of my life. Yes, I can definitely relate to being a multitude. Can you? “i will wade out” I know some people have a visceral dislike of e.e. cummings, maybe because as children they were made to listen to “maggie and milly and molly and may” too many times. But I have a visceral love for e.e. 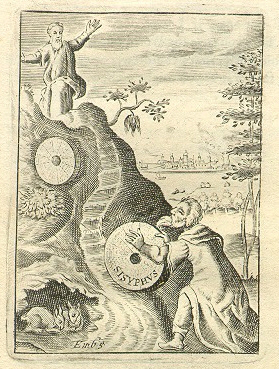 cummings and what he did with language and form. And also, I don’t even mind “maggie and milly and molly and may” because — perfect linebreaks, people. Anyway, this morning one of my excellent po-friends posted e.e. cummings’ poem “i will wade out” on Facebook, and I just knew that everyone in the whole wide world should be walking around with this poem in her/his heart today. Read it here. Wait, am I talking too much? Am I over-sharing? I think so… so please excuse me while I go pick up prescriptions and toilet paper, and also I have this poem to write about a woman and many, many bowls (Sigh. A multitude indeed.). Happy Friday, thanks for reading, come back soon. Happy Monday, Reader. I’m here in the Peninsula Town wondering how all my dear ones on the Atlantic Coast are doing as Hurricane Sandy bears down. I’m tempted to check on Facebook, but I’m just not ready to face the World Series celebrations after my Tigers went 0-4. Ouch. I still love you, Tigers. Bless you, boys. Meanwhile, let me tell you about my attempts to be a working mother. You might remember we talked about organization and scheduling in September as I tried to figure out a good writing schedule for myself this year — the first year of all 3 kids in school all day. You might remember that I built in some “flex days” that could go either way: toward writing or toward mom-ing depending on the need. Of course, the flex days always went toward mom-ing. Nature of the beast. Result: not enough writing time. So, for the last handful of weeks (minus the toddler invasion), I decided I would act like a working mother (as if any mother is not one). I decided I would devote all of the time when the kids are in school to writing, leaving mom responsibilities for afternoons and the weekend. Result: house in chaos, 47 errands stacked up for Saturday, no Halloween costumes, no food, no milk. BUT I have a Costco pack of T.P. so we’re all set there. Still, by the time the weekends were over all five of us were exhausted and crabby. So here I sit, rescheduled and disorgandized. The old tug-o-war rears its ugly head. Only thing to do is try again, fail again, fail better. Which I will, of course, do. Because there is no magic pumpkin waiting to turn into a carriage to take me to the Ball of the Ideal Writing Schedule. Bummer. Meanwhile, I’m giving thanks to be a working mother with a flexible schedule. I have one of the three bears home with a tummyache. While he rests, reads, and watches TV, I’ve conducted two poetry “conference calls” (hee, hee; okay they were just poetry-related phone calls) and done a bit of revision. Nice work if you can get it. Have a great week, and thanks for reading. All you folks back east, stay safe. Reader have you ever read The Little Red Hen Makes a Pizza? It’s so great. As you might imagine, it’s a retelling of the classic Little Red Hen story. The cat plays the saxophone, the duck wears a swim cap, and the dog — well, as in real life, you’re never quite sure what the dog’s story is. The little red hen is always going to the store for pizza supplies “and… some other stuff.” But I digress. I spent yesterday in my favorite sunny corner of the library, trying to draft a poem. It was painful, but some days are like that. 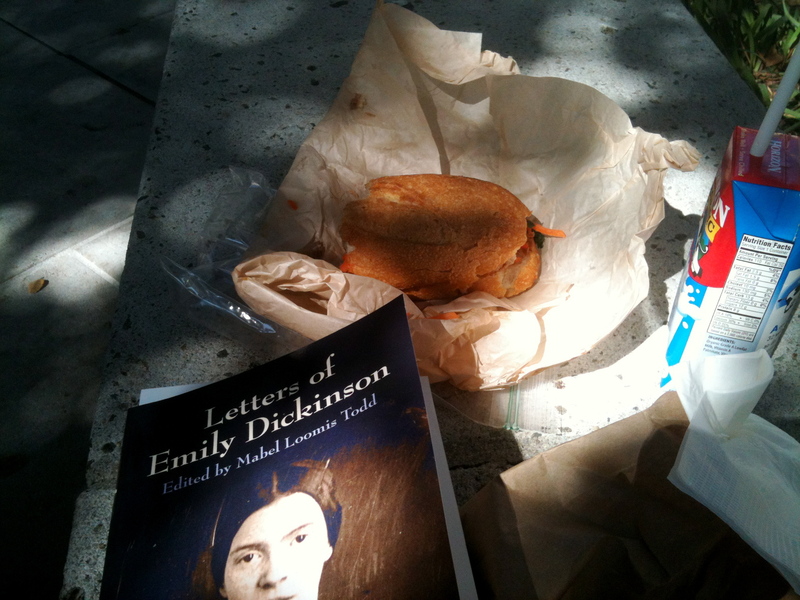 At lunchtime I went outside to gulp down a sandwich and some Emily — some solace in that. But I digress again. 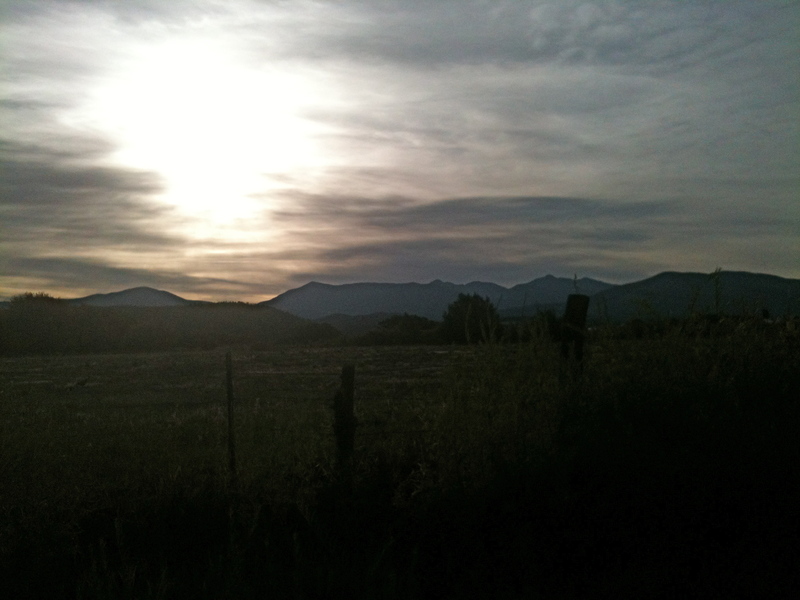 So, a few weeks ago I went on my first-ever writing retreat (or conference? I’m not sure what to call it). It was in the high desert of New Mexico, where I’d never been before. Let me begin by confessing that I’m a nervous traveler. Call me crazy, but t just doesn’t seem right to me for human beings to be flying around 6 miles above the surface of the earth in a metal capsule. Every time I go on a trip (which is almost never) I’m always making Husband promise he will remarry if I die in a plane crash. I send important info — my passwords, a list of people who should know I died, funeral plans, letters to my children — to a dear friend, just in case. Yeah, I’m neurotic. But in the end I always go, believing it better to be deathly afraid six miles above the surface of the earth than to stay home out of fear. Follow your bliss (I believe Joseph Campbell coined this phrase?) Everyone in the room had done and tried other things. Many confessed to trying to leave the writing life altogether, but at some point had a kairos moment of “I must do this.” Whatever it is you must do — yeah, do it. Pay attention to how your own work is telling you about new ways of working. Pay attention to the hints at which direction your work wants to go next. Another VFP quote. It dovetails nicely with the obstacle in the path becoming the path, don’t you think? And it’s another great intersection of the writing life and any intentional life — valuable advice either way. Don’t worry about what’s in fashion. Do what you do, and do it well. This is the advice we’ve all been getting and giving since middle school: Be yourself. Be yourself in your life, and be yourself on the page even if it’s not the way the Cool Kids do it. The Cool Kids can’t write your poems. You can. Okay, so now I’m very relieved to be done with organdization for a while. But one more thing before I go: Don’t think I’m always completely organdized. Piles form on my desk, then grow, then threaten to topple. Chaos often reigns. But, it’s good to have a system in place to fall back on when I reach my disorgandization threshold. Everything in moderation. See you back here tomorrow for the roundup, and thanks for reading. Reader, I’ve been having laundry anxiety dreams. In one, I find a multi-drum washing machine with three rows across and three rows down for a total of nine drums that can all be filled and run at the same time. In the dream, I think, Genius!, but after I start my nine loads of wash, the machine starts going off-kilter and things get ugly fast — flapping lids, soap and water everywhere, clothes crawling out of the machines. In another, I’m both mother and daughter, both adult and child, and I’m at a neighbors house borrowing her washing machine. She seems nice enough at first, but then starts going evil on me — and I get the sense that I need to get out of there right away or I’ll be held captive forever. Problem is, my laundry’s not done yet and I can’t leave without it because if I do my kids won’t have anything to wear. In this dream, all the laundry goes into one, enormous, see-through washing machine and gets washed together. I keep going in to check on it, but it’s never done. Finally I just start pulling the clothes out wet and running baskets out to the sidewalk so I can make my escape. Then, once I have it all outside and have escaped the evil neighbor, I can’t remember where I live. What does this have to do with submissions? Nothing. Nothing at all. For me, making it a little cottage industry has been difficult. The idea is to, every once in a while, set up a submissions assembly line: mini-manuscripts of poems (more on mini-manuscripts here), cover letters, file/envelopes, stamps/send button — now blanket the earth with your poems. The idea is to take the emotion out of it by having all the components ready to go and slapping them together one by one. The idea is that you can then send one packet of poems out to 15? 20? 25? journals at a time. When you receive your rejection, you have the next packet of poems ready to send. I’ve never been able to manage the assembly line, although I still aspire to it. I do have packets and lists and sample cover letters (more on this later), but the truth is I usually only manage one or two submissions a week because I’m always doing last minute revisions, mixing up the packets so as to customize a packet for a particular journal according to my sense of their aesthetic, and obsessing over guidelines. The second really good bit of submissions advice is to keep in mind that even a 10% acceptance rate is really good. This means that at least nine out of ten times, your poems will be rejected. When I send a submission out, I expect that it will probably be rejected. This is not pessimism, it’s just facing reality. Then, when I get an acceptance, it’s a delightful surprise. Now let’s talk about record-keeping. I use Duotrope to track my submissions. This method replaced my completely unwieldy Excel spreadsheet. There’s a bit of a time investment to get set up on Duotrope, but it’s minor and worth it. You enter your pieces, log submissions, rejections, and acceptances. You can look at each poem to see a list of all the journals it’s been sent to. You can look at each journal to see a list of all the poems you’ve sent there. It’s very slick. You can research markets by aesthetic, theme, etc. You can read interviews with editors. Because I’ve switched over from a “legacy system” (the Excel spreadsheet), I still have to do a bit of back and forth, but I’m looking forward to the day when everything’s on Duotrope. Duotrope is a free service that relies on donations from its users to run; I make sure to donate because I’m grateful for the service. 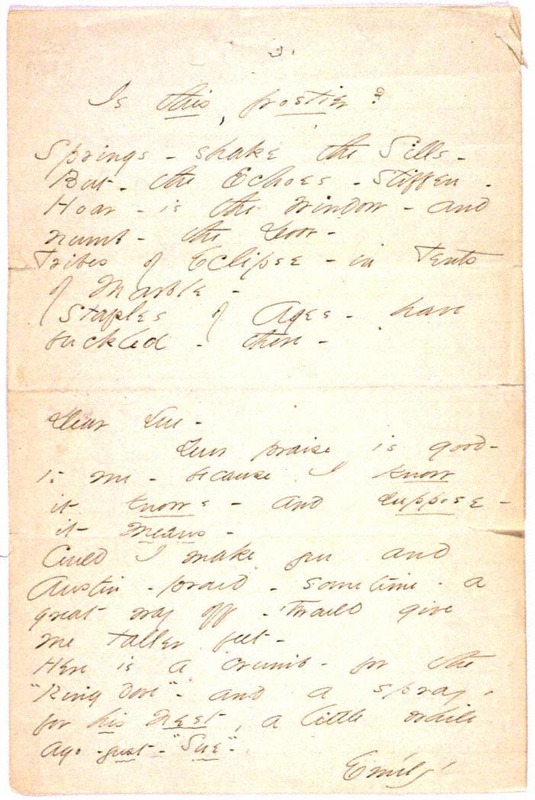 lists and logs: lists of journals such as this one, list of kinship journals (more on this here), list of journals that have asked to see more work, lists of mini-manuscripts, etc. I also stash printed calls for submissions here if I see something online that looks promising — but I don’t keep these long (see unwieldiness, above). clean copies*: the current, send-out-able version of each poem. On each, I write down the name of each journal I’ve sent it to on a post-it note. This wouldn’t have to happen because this information is also stored in Duotrope, but I like to do it — it becomes the story of that poem’s journey out into the world. placed*: when a poem’s accepted I move it out of clean copies and into placed, and note publication details. Again, this is more preference than necessity — I really like watching the “placed section” of the binder grow. *these tabs have electronic counterparts: folders on my computer for an electronic copy of each. For poetry correspondence, I keep a separate folder within my e-mail inbox. In the infrequent case of paper correspondence, I also keep a paper folder in my file cabinet. As for when submissions fits in on the schedule, I try to set aside a few hours each week for submissions. My goals is 2 to 3 a week; the truth is, I usually only manage one. I’m hoping this will change over time! Other poets I know set aside a week every 2 or 3 months to do nothing but submissions. This strikes me as a smart idea, but so far I haven’t tried it. I’d love to know how the writers in the readership handle submissions; if you’d like to share, leave a comment. I think the main thing about submissions is to just do it, and to try to take the emotion out of it in whatever way you can. Having a process and a system helps me take the emotion out of it, but it’s not foolproof (case in point). It’s a starting place, and a stable undergirding to fall back on. Have a wonderful week, and thanks for reading! Reader, remember when we were talking about organdization? Me, too, barely. We last talked about my generative process. So today I thought I’d write about how I organize my drafting and revision process. But wait, you might be thinking, isn’t drafting a generative process? What’s the difference? All I can say is that the place poems come from, for me, is different than the moment of sitting down and deciding to write a draft, and needs its own space and time for cultivation. So for me, the processes feel separate. But you might rather roll yours in together, which doesn’t mean yours isn’t deep or uncultivated, just that everyone’s process is a little different. So: drafting, revision. Last time, we talked about how my paper and electronic files reflect the inputs and outputs of the generative process. The same is true for my drafting and revision process. The outputs of the generative process become inputs, and new outputs (and corresponding files) are created. Here’s what my drafting and revision process look like. So at the top you see all the inputs to my drafting process (these are the outputs of the generative process). When I sit down to draft, I have all these inputs with me in physical form. I like paper. This does not mean that I haul all 5 folders with me to the library — no, instead I pull out from each of those folders whatever I want to work on that day and put it into a mobile paper folder: “this week – drafts”. (I realize I didn’t put this on the flow chart – sorry). Next I look through those source materials and make notes about what seem interesting — a word, a phrase, a group of words from a wordbank, etc. If research seems warranted, I do a little light research (y’know, wikipedia, other online sources, or sometimes I actually walk into the stacks at the library and pull a book off the shelf). I paste any source notes into a document which will house the new draft (and, in the future, each revision). I then set boundaries around the draft. I can’t tell you how important this is to my process. I might use a Poem Map to set the boundaries: 3 stanzas, quatrains, ends in the imperative voice. I might draw more words from a wordbank and declare that each line of the poem must contain one of them. I might go looking for a very defined prompt or exercise. My po-friends, C-1 and C-2, and I have been talking about constraints lately and C-1 noticed that it’s always language-based constraints that enable her to enter a draft. Once she articulated that, I realized it was true for me as well. So language-based constraints would include using wordbanks, copying syntax, using poem maps, noticing parts of speech, and anything else that is focused on the language of a draft. I should note that I always, always, ALWAYS read other people’s poems before drafting. I mean right before drafting. Sometimes my language-based constraints will come from whatever poems(s) I’ve just read. Sometimes not. But I can’t stress enough the importance of reading others’ work as a way into my own (this is also true during my generative process of “morning reading and writing”). Ok, so we’ve looked over source materials, read other people’s poems, and set constraints. Now it’s time to draft. Ready, go. I always draft by hand, or at the very least begin drafting by hand. Sometimes if things are coming too fast, I’ll switch over to my computer mid-draft. Now there’s a draft, and it’s my strong opinion that every draft should be printed. If I know I want to work on it, I put it right into my “active revision” folder; if I know I don’t want to work on it or I’m not sure, I put it into my “drafts” folder (these folders are both paper and electronic). The reason why I think it’s important to print every draft is this: you might hate the draft today, but 3 months from now you might read it again and think, Gee, it’s not bad. Maybe I should work on it. Or it might contain exactly the line you need to end your newest poem. In my opinion, giving every draft a sheet of paper to live on is a spiritual act. The draft now has it’s place in the world. It’s open for business. It’s an artifact. It might never turn into a poem, but it’s a draft and there’s a place for it in my file cabinet. If nothing else, as the weeks go by into years, I see that folder thickening and feel a sense of accomplishment. One last thing: In order to go back and read old drafts and/or find the one line you need for your new poem, you do have to, well, go back and read old drafts from time to time. I fold this act into my process, usually on a Sunday when I’m trying to figure out the abnormal week ahead. I don’t do it every week — maybe once a month. Revision. We talked about it during poetry month, remember? Each week, I choose a few poems out of the “active revision” file (paper and electronic) and put them into the “this week – revision” file (paper only). Again, I’m setting boundaries and preventing myself from feeling overwhelmed by my active revision file, which is literally 6 inches thick. I might not actually revise all the poems in my this week file; maybe I’ll only get to one of them, but I have options (but not too many options) for that week. And so I revise. Sometimes I revise in waves — a few poems, all the same craft element. Sometimes I do major surgery on one poem. Whatever new version exists, it goes in that poem’s file (electronic; which also contains source notes, the draft, and previous versions) in the “active revision” folder. I used to keep a file for each revision of every poem. It doesn’t take too much imagination to see that keeping a separate file for each revision of every poem became very unwieldy. Each revision gets noted with version number and date, and each new version gets printed and stapled onto previous versions (remember, they’re all in the same file, but there’s no need to print out the entire file every time). Again, I see this as a spiritual act: I am giving this version of the poem it’s place in the world. Once I think a poem is “done” (laughter), I put a clean copy of the final version into an electronic folder called “clean copies,” and a clean copy (paper) into my submissions binder (more on that forthcoming). The big thick stack of 47 revisions, the draft, and source notes goes into a box called “workpapers,” and I also have a “workpapers” electronic file where the document file goes. That clears it out of the active work file so things feel more manageable. Are you still with me? I think I’m still here. Oh, I forgot to mention that I have a school-year goal of one revision a week (borrowed from my go-to gal, Sandy Longhorn). Prior to setting that goal, I kind of felt like I had to write a new draft every time I sat down to write, which was bad for two reasons: (1) not reasonable, and (2) not reasonable. Also, it doesn’t leave room for all the other things poets do. Well, soon I’ll be ditching my poet hat for the mama hat. I hope this look at one person’s drafting and revision process was helpful. Whatever your process is, if you think of it in terms of inputs, process, and outputs you’ll know what files and folders to make. Stay tuned for the submissions process and the unveiling (ha, ha) of my grand (ha, ha) electronic file structure. bonus: a surprisingly small number of s.o.c.k.s. 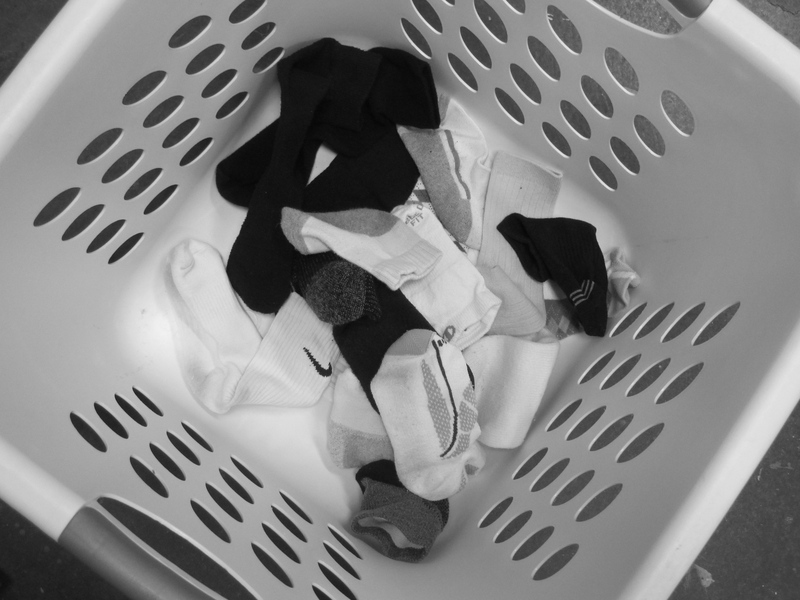 When you first return from a writing retreat, you just really can’t believe the world expects you to fold socks (also, you’re not sure how to spell socks anymore, but s-o-c-k-s seems right). Really, World, you expect me to match up all these socks? Don’t you know I’m a Poet? But, Yes, says the world, Socks. Really. And also milk. And T.P. So today I spent a while taming the beast of domestic chaos, despite my incredulity about the socks. And so, I thought, let’s talk about organdizing and process. Oh, look: I learned something. One part of what I thought was my process never actually happens. Okay, now I can adjust and work smarter (I hate that phrase, don’t you?). What does all this have to do with writing/organdizing? Just that it’s important for your writing files, workpapers, etc., to flow out of your process. Otherwise, your system of organdization will not be organdized. Here is a map of my generative process. blotter — which is just a long, messy list of ideas for poems, words or phrases that grab my attention, URLs to interesting poems, articles, news items, and the like). The blotter helps with the problem of rabbit holes. You know, you find something that seems interesting and the next thing you know you’ve spent an hour reading about it instead of doing the work you’d planned to do? The blotter helps you keep track of interesting things with out getting distracted by them. I use Evernote for my blotter, but you could just use a big long list in Word, or in your notebook. I realize as I map my process I also need a folder for prompts/exercises, so I add that in mentally. Whether to create paper or electronic files, or both, depends on your preferred way of working. I use both because, while I prefer to work with paper, I don’t want to lose anything to the paper beast. I’ll do a post more specifically about filing later in the week. Note, also, that in mapping my process, I figured out a way to simplify it. Rather than having to decide whether to type up morning writes every day, and to have to go back through morning writes once a week to mine for things I didn’t type up, I see that it would be easier to just type them up every day and read through them once a week prior to my drafting day. So, we’ve looked at the inputs, processes and outputs of a generative process. These outputs feed into the next process which is Drafting & Revision. After that comes the Submissions process. In the coming days, I’ll provide links to my process maps and call out any highlights that might be helpful. But remember, it’s your process that you should focus on (unless you don’t have one yet. Then you can borrow mine and give it a try). Your process may look very different than mine, and that’s okay as long as you can get to your inputs and outputs. At the end of all this, I promise I’ll just give you a list of my paper and electronic files, which when I was a beginning writer, was all I wanted–because I really couldn’t figure it out myself and had very little awareness of process then. Maybe that will save you from having to do a major file re-org 3 or 4 times in 10 years, as I have done. But looking at process is a good first step. Now, you must excuse me. Orphan socks await my attention. Ever onward. Hi, Reader. Today my computer seems to be mostly cooperating, so I’m going to take this opportunity to be less wordless than usual for a Wednesday. I also want to wish you a happy flex day, which is a day when you throw your schedule to the wind and do what needs doing. Today, I really needed to buy new pajamas. Actually, three years ago I really needed to buy new pajamas, but I tend to procrastinate about such things. Then I realized that, because some of the accommodations are shared at the conference I’m going to this weekend, it was possible that someone, besides the dwellers of the Wee, Small House, might actually see my pajamas. The very thought made me cringe. I briefly considered cancelling my plans, but then I accepted the fact that it would be better to just go buy some new pajamas (this is how much I dread shopping in actual stores except for book stores). (Speaking of pajamas, I was trying to find an image of old-fashioned pajamas or Wee Willie Winkie or something for this post. Didn’t have much luck there, so I went with this photo of a tirling pin. 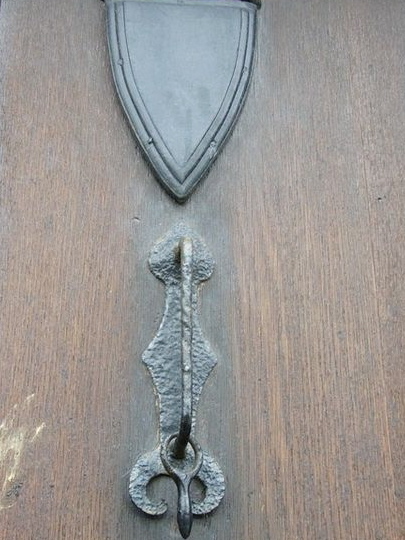 A tirling pin is a precursor to the doorbell. It was moved up and down to alert the people at home of someone at their door. It is memorialized in the original version of Wee Willie Winkie: “Wee Willie Winkie rins through the toun, Up stairs and doon stairs in his nicht-goun, Tirlin’ at the window, cryin’ at the lock, ‘Are the weans in their bed, for it’s noo ten o’clock? '” File this under: you learn something new every day). At any rate, this morning I called “flex day!” and did a bit of preparing for the conference, including, but not limited to, procuring some new pajamas. My first stop was my friendly neighborhood independent bookseller. I bought The Hare with the Amber Eyes to read on the plane and before bed while I’m away, and an itty bitty book light (again, just in case of shared accommodations). I’m looking forward to reading something a little different (i.e., not poetry). But, because I thought it would be a good idea to have something exciting waiting for me upon my return, I also bought Space, In Chains by Laura Kasischke. Also, when you see a book like that at your friendly neighborhood independent bookseller you just have to buy it in the hopes that they’ll continue to stock living poets who are not Billy Collins, Seamus Heaney, or Mary Oliver (nothing against Messrs. Collins and Heaney or Ms. Oliver). Next I came home and had lunch, rested with a guided meditation, and journaled about travel anxiety. Which I have. Leaving the kids for the longest time ever (not that I’m proud of that — it’s long overdue; and I know they’ll be fine). Sharing my work with “real” poets who I don’t know (as if I’m not a “real” poet). Traveling by myself (as if I have not done this hundreds of times — but it’s been a while, and traveling is hard on me physcially because of my chronic illness). All that stuff. My po-friend C-1 (there’s also a po-friend C-2), who just came back from Thailand, promises me that travel anxiety is normal. Anyway, it helped just to write it all down. So, yeah, sometimes the schedule goes and we do what we need to do. I’m feeling more ready and relaxed for my trip. My printer connection is up and running again, so I have all my stuff printed out and ready to go. Huge relief after the sore throats and technical difficulties of the last several days.I still have a few last minute things to do (buy treats and pack my bag, for example), but they feel manageable. And I haven’t forgotten about organdizing, but at this point I think it’s going to have to wait until next week, although I’ll try to squeeze out a post tomorrow if I can. I won’t be blogging from the conference (in fact I’m not even taking my computer), but I promise to tell you all about it when I come home. See you back here tomorrow, maybe. Otherwise, next week. Have a wonderful weekend in the mean time, and take a flex day if you need one! It can make all the difference. do the most important things early and often. The two most important things for me — my fundamental unit of work (morning reading/writing) and submitting poems) come early in the week, and/or early in the day. If you’d like to read more about the inner work and nuts and bolts of scheduling, I recommend The Clockwork Muse. Although it’s more suited to long projects such as doctoral dissertations and prose books, I do think it’s a good resource (Chapter 1 especially) for anyone who wants to create a schedule with time for everything that’s most important in their lives. living intentionally So, I feel like the Peanuts’ teacher: wah wah wah wah wah. I’m doling out my advice, pretending I know something. Really, I’m only learning as I go and trying my best to live intentionally so that I can live a life that feels like it’s mine. And I know that I am on the “extremely” end of the fortunate scale — and that scheduling (and many other things in life) is easier for me because of it. Still, I think the number one thing to living intentionally is remembering this other thing I’ve learned and re-learned and re-re-learned: If something’s not working, there is usually something we can do to change it. We might have to ask for more help, say no to our kids or our church or our mothers-in-law, give up that TV show we kind of like but not as much as we like this other thing we want to do. Et cetera. So, for example, one thing I’m very intentional about is limiting the number of activities my kids participate in. First of all, I think down time is good for everyone. But secondly, I’m protective of my time and energy and I don’t want to spend my whole life shuttling them places. They can join more when they’re old enough to get to activities themselves (which will be soon). So, blah, blah and all that — what I’m saying is, if there’s not enough time for something that’s vital to our lives, we can usually change things to get at least a little more time, if not right away, then over the long run. from last night’s chocolate cake. time through the commuter crowd. full of the hazel green of your scarf. You could live without me. My heart is pierced! This poem is from the chapbook Memory/Future by Heather Aimee O’Nell (Gold Line Press), which I now want to run out and read. Do you have any favorite killer last line poems? I would love to know — share them in comments if you like. Happy Friday, Reader, and thanks as always for reading. Next week we’ll talk more about organization: understanding your process and setting up a filing system that fits whatever your process is. There is an enemy. There is an intelligent, active, malign force working against us. Step one is to recognize this. This recognition alone is enormously powerful. It saved my life, and it will save yours. This from Steven Pressfield in his book (which I have not read) Do The Work. Yesterday, I believed this quote; it may not have saved my life, but it saved my sanity. Yesterday the malign forces working against me were throats (still sore), fever, and a busted router. The work I had scheduled for yesterday required the Internet and the ability to print (not to mention the ability to think clearly, which was rendered all but impossible given the sore throats and fever). constraints When we’re talking about schedules, we can’t avoid the topic of constraints — those limitations that bind themselves to us and work against our art-making. The important thing is to understand the difference between the constraints we can control and change, and those we can’t. There are constraints on our time that arise because life gets crazy sometimes: illness, flooded basements, a busted router, flat tires, neurotic dogs, etc. We can fight against these constraints all we want; they are not going anywhere. Other constraints we create for ourselves. I have been known, for example, to say ‘yes’ to requests for volunteers at school that directly conflict with my writing schedule. I have been known to make homemade hamburger buns rather than buy them. I have been known to throw up my hands in the face of unanticipated constraints (e.g., sore throats, busted routers) and do no writing work, because I couldn’t do the writing work I had planned on (by the way, I’m very proud of myself because yesterday I did not throw up my hands; I worked on other, small tasks that didn’t require a lot of brain power — small victories!). It’s helpful to think about, and maybe even write about, the constraints we can’t control vs. those we can, and then to work hard against those we can control in the interest of our creative lives. For more on constraints we can’t control, read this. chaos One thing I’ve learned over time is that if I’m going to have time for my writing, I need to be willing to live with more chaos than I might otherwise. Chaos from the Greek for “abyss, that which gapes wide open, is vast and empty.” Despite its roots, I think of chaos as that which is full and spinning out of control. Chaos is laundry piled halfway to the ceiling, legos everywhere, forgotten school events, a severe lack of milk and T.P., running to things last minute, lost ballet slippers and oh s$%t what’s for dinner. 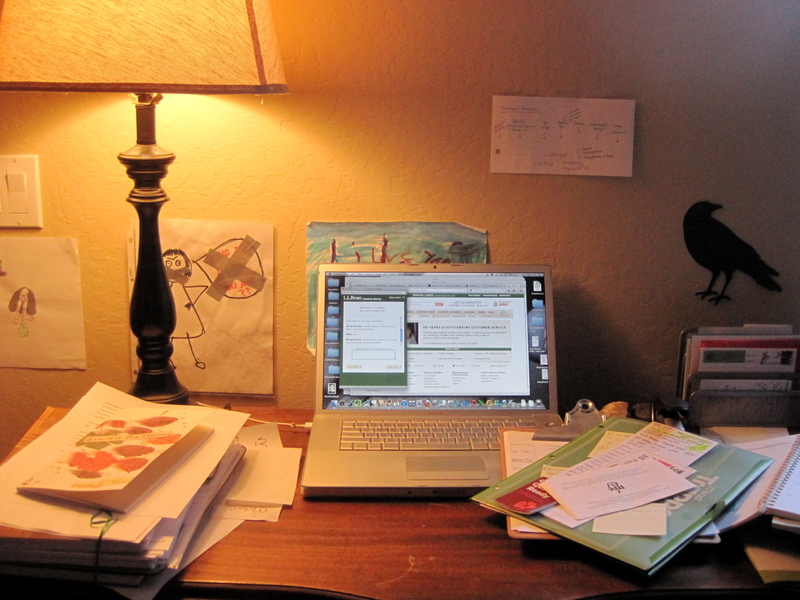 I know that my life (and our family life) would be less chaotic if I didn’t write, or didn’t write as much. I have to coach myself constantly to be at peace with a certain level of chaos in exchange for writing time. I also know that I can only cope with a certain amount of chaos, before it starts actively working against my creative work. I know I need to devote some time to household tasks, meal planning and prep, kids’ activities, etc. I build this time into my schedule even though it means I’m not spending that time on my writing. Everyone has a different threshold for how much chaos they can cope with. It’s important to understand yours, and keep it in mind when scheduling time for your creative life. Again, I’ve found it helpful to draw and journal about chaos and to fold any insights I come to into my schedule. For me, it’s my practice of morning reading and writing. This involves reading a few pages of poems by another poet, grabbing any language I find interesting, maybe mapping a poem or two, and then writing a bit off of what’s interesting from what I’ve read. When constraints emerge and chaos reigns, if nothing else I do my morning reading and writing. It’s my way of staking a claim, of saying, No matter what I’m still a writer. When the schedule flies out the window, I have that to hang on to. So, I think between this post and Tuesday’s post, I’ve said what I have to say about the inner work of scheduling. 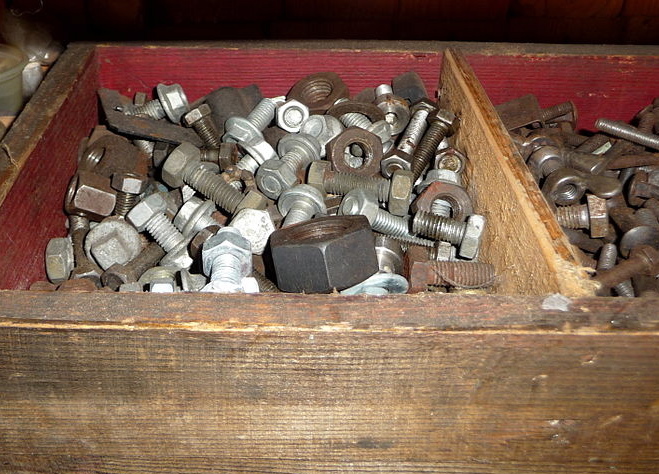 Tomorrow, as part of the roundup, I’ll write a short bit about the nuts and bolts of scheduling and about living intentionally. Next week we’ll move on to organizing the work itself: understanding your process, files and folders, documents, lists and logs, etc. Meanwhile, may the throats in your life be free of soreness, may fever never dwell beneath your roof, may your router work, and may you find ample time for whatever you love in this world. Thanks, as always, for reading. Molly Spencer’s poetry has appeared or is forthcoming in Copper Nickel, FIELD, Georgia Review, The Missouri Review online, New England Review, Ploughshares, Prairie Schooner, and other journals. Her critical writing has appeared at Colorado Review, Kenyon Review Online, The Rumpus, and Tupelo Quarterly. Her debut collection, If the house, is forthcoming from University of Wisconsin Press in fall 2019. A second collection, Relic and the Plum is forthcoming from SIU Press in fall 2020. She holds an MFA from the Rainier Writing Workshop, and is Poetry Editor at The Rumpus. Molly teaches at the University of Michigan's Gerald R. Ford School of Public Policy. Find her online at www.mollyspencer.com.